Rhinoplasty is any surgery to reshape the nose. It is one of the most common plastic surgical procedures, but also one which requires a lot of training and planning to get just right. Rhinoplasty aims to increase or decrease the overall size of the nose, alter the bridge or tip’s shape, narrow the nostrils’ span, or change the angle between the upper lip and the nose. The key to an excellent rhinoplasty is to achieve a natural and sustainable look. 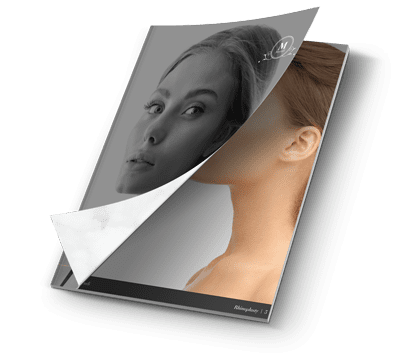 Once you have described your preferred shape or rather the aspects of your nose that bother you, I will evaluate the anatomy of the perceived problem, and go through the operative steps that are needed to achieve your desired outcome. I use advanced 3D computer generated imaging (not Photoshop) to try and simulate the predicted post-operative result. During your consultation we will go through your 3D image and, using my simulation software, plan your operation and likely post-operative result. I find using the simulation is a far more reliable and reproducible tool than showing you other patients’ before and after photographs, or using Photoshop. More importantly, during the consultation process I get a sense of your surgical goals through the changes you wish to make to your 3D model. Today, attention should be placed on understanding your surgical goals and planning the procedure together. A deviated septum is a condition concerning the nasal septum or bony septum where air flows through the right and left of the nasal cavity. If your septum is deviated to one side, or is crooked in some way, the airflow does not come in easily, resulting in breathing difficulties. Patients can also have difficulty with breathing when the bony little outcrops in the nose, called turbinates, become enlarged. Rhinoplasty can help to straighten the septum as well as remove the turbinates so that air can easily flow through the nose once more. What is the difference between functional and aesthetic rhinoplasty? Rhinoplasty is a procedure on the nose that can be performed as a functional or aesthetic operation. The functional component is usually carried out if you have difficulty breathing due to a deviated septum or previous fracture. Breathing difficulties can also come from enlarged turbinates, the bony little outcrops found in the nasal cavity. During the rhinoplasty, the doctor will straighten your septum and remove the turbinates if necessary in order to restore full breathing ability. A rhinoplasty means different things to different people. Some people just want a small hump taken off their nose, some just want the tip done, some want their nose smaller and some people want all of it done. The aesthetic portion of rhinoplasty addresses whatever the patient feels is the problem with their nose. What is the difference between physical and social recovery after rhinoplasty? 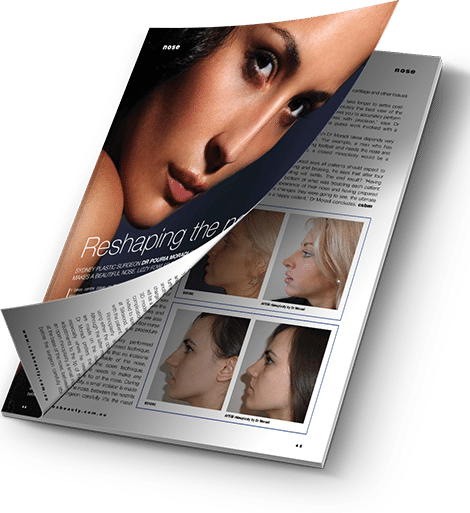 The recovery process is pretty unique for rhinoplasty because it is comprised of both social and physical recovery. Physical recovery begins about 48 – 72 hours after your surgery. More often than not, the nose has to be broken for rhinoplasty to take place. For this reason, a nasal splint will be applied after the surgery which will lessen the movement and pain after the procedure. The pain tends to take on an aching feeling, which can easily be managed with medication and most people wish to return back to work at this stage. However, this is usually where the social recovery aspect comes into play. Going back into society is a little more difficult because once the rhinoplasty has occurred, you will have visible after-effects that may hinder you. The stitches and splint usually remain on the nose for about 10 days but once removed, you will have a swollen nose and black eyes. Over time, this swelling will move down into your cheeks as gravity takes effect. Obviously there is no physical hindrance there, it is just up to you and how you are prepared to go out into public. How long before I see the final result after rhinoplasty? In terms of seeing the final result after a rhinoplasty, it is best to break the recovery of the nose into three parts; the upper third, the middle third and the lower third. The upper two thirds will take about six weeks to get the final result. The tip, which requires more refinement, will take between 6 – 12 moths for the final result to show. In the first 10 days you will have stitches and a splint on your nose. Once that is removed, you will have swelling and black eyes which will gradually fade. The swelling will also slowly move down into your cheeks as gravity tries to get rid of it. Immediately after the operation, both you and Dr Moradi will be aware that there is swelling in the tip of your nose, but no one else will because people simply do not pay that much attention to your face. At three months, you will think that the swelling is gone but the doctor will be able to notice the smaller signs of swelling. Finally after 12 months, the swelling with be entirely gone and your nose will be as it should. Rhinoplasty can be performed using either a closed or open technique. The major difference between these is that the open technique involves a little incision on the outside of the nose. As a general rule, if you need any work done on your nasal tip I use the open technique. Rhinoplasty surgery is a highly individualised operation and should always be customised to you, the patient. Predicting which approach and rhinoplasty technique would be best is very complicated and it is best done in person with me or a plastic surgeon you are comfortable with. During the initial consultation I use 3D simulation software to help plan the operation, and with the animated models, I will attempt to predict the likely post-operative result. I admit 3D simulation may not be 100% accurate and results may slightly vary from simulated images, but it is the most precise tool we have to predict outcome at this point. It is far more reliable than showing you other patients’ before/after photographs or using Photoshop. More importantly, 3D technology is a great communication tool between me and you. Rhinoplasty surgery is performed under general anaesthetic either as a day case or with an overnight stay. Patients will usually take 1-2 weeks off work. During this recovery time, you will wear a splint down the length of the nose; this is done to support the new shape of your nose. If there is any work done to the septum, internal splints are also placed. In the immediate post-operative period I prescribe nasal sprays to help with the inflammation and also to prevent drying up of the mucosal lining. What are the potential risks and complications of rhinoplasty? Modern surgical procedures are generally safe, but there is still a potential risk of complications. Itchy, unsightly and annoying scars known as hypertrophic and keloid scars, which form over the incision. Rhinoplasty surgery is covered by most private health insurance. Review your policy carefully to determine what is covered. Need for other facial plastic surgical procedures, such as eyelid rejuvenation, facelift, neck lift or brow lift.